The Shotgun Shell Collection of Home Accents adds a personal touch to the home of hunting enthusiasts. 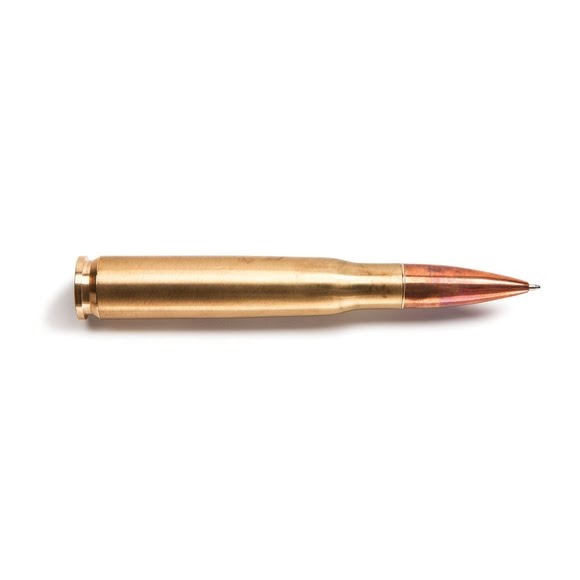 This handsome writing pen that resembles a .50 caliber shotgun bullet is the perfect addition to the office or den. Measurements 5.5" x 0.75", Gift Box: 6.75" x 1.5" x 1"